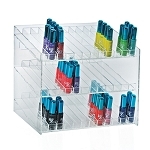 Need to organize your counterpoint of purchase display? 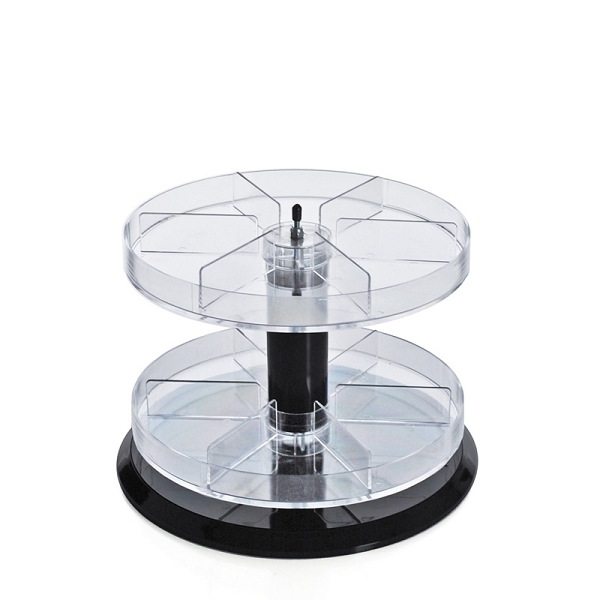 This Acrylic Tiered Rotating Counter Display with Dividers will be a showstopper. 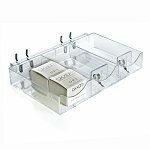 Two clear acrylic tiers with a diameter of 11-inches on this retail display are divided into six compartments to give plenty of separation for your smaller items. Cosmetics, jewelry, crafts, candy, and more will fit wonderfully on this rotating counter exhibit. 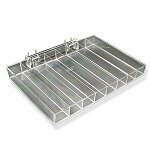 The tiers are constructed of durable clear acrylic materials, so your shoppers can easily view the merchandise from a fair distance away. 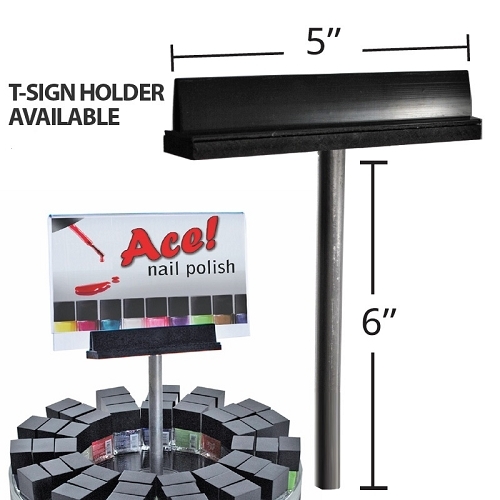 Add a T-sign to advertise your products and provide vital information about your materials. 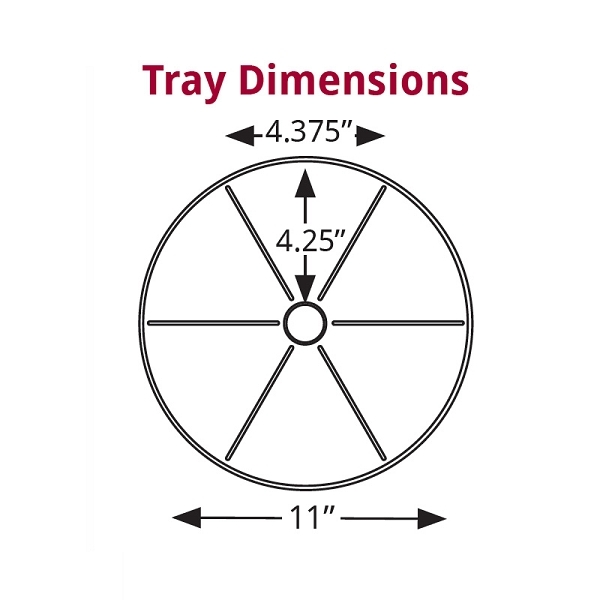 The t-sign stands above the display with a holder for the clear acrylic sign, thus the t-shape is created. Great clear retail fixture for impulse items. 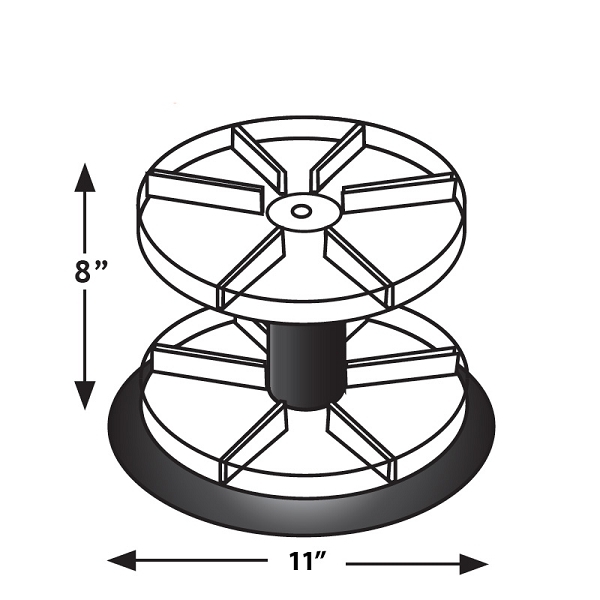 Order a tiered rotating counter display today and save! Q: are the dividers removable? A: They are not removable.